The value of Network Configuration Management software may not be immediately apparent, and some might wonder what it even really is and does! In short, as the name very much implies, it's for the configuration of a network – obviously this doesn't seem terribly useful on a small scale (although, to be honest, it still can be!) but as you reach moderate and large-sized networks the immense power of Network Configuration Management, or NCM, really comes into play! Being able to take a swift glance and assess the status of a wide range of devices – servers, VMs, and running services for example – is extremely useful. 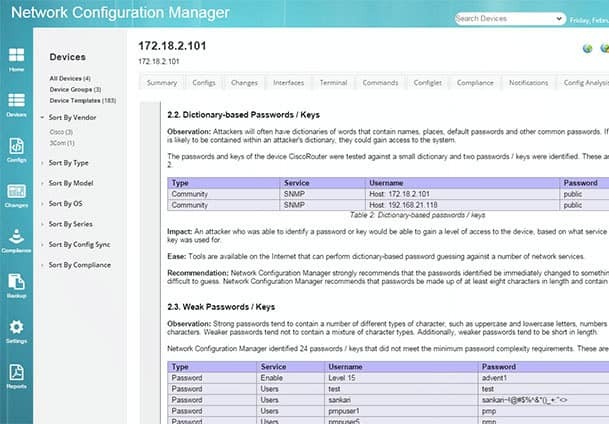 You can easily assess and make broad sweeping changes to an entire network structure from a single management console, and rest assured that it will do its best to make sure that all configurations are appropriate and non-conflicting. 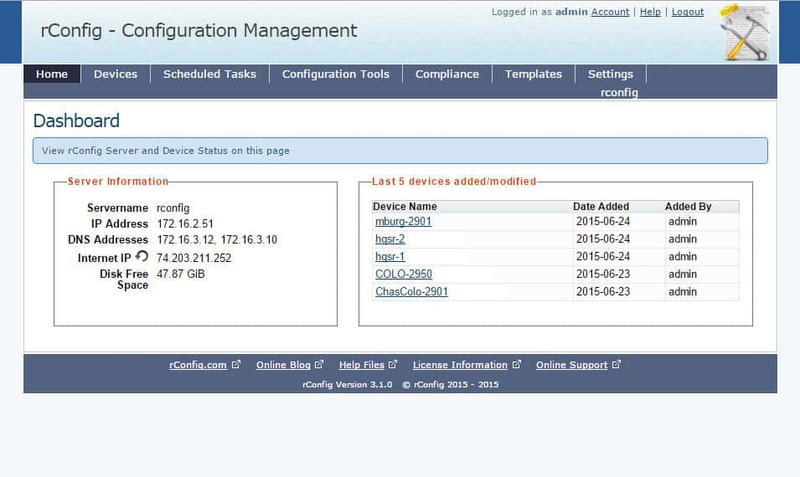 Almost anything a NCM does can be done by hand, but it requires manually accessing and logging into device after device, changing settings one by one, over and over. Repetition breeds chance after chance for mistakes, and if anything needs to be changed halfway through you have to start over! NCM software lets you make changes with ease and, what's more, you can even set permission levels to be sure that other admins can't mistakenly change too much, while still allowing them to request changes that need to be made pending approval. 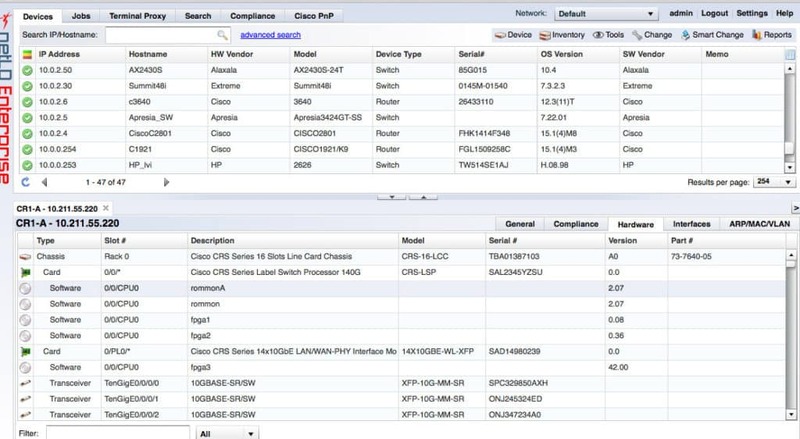 Device configurations can be easily backed up and restored, standard practices for your network can be assigned, and many software options also provide automation of repetitious maintenance tasks to further ease the work load.. not to mention user tracking, change histories, and more. There's a great deal of power when a NCM is applied well, even to smaller networks, and below are some of the excellent choices when it comes to this type of software! 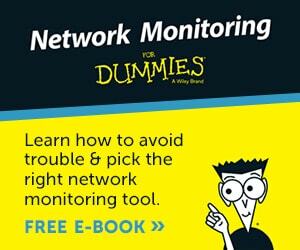 Grab one of these great tools and keep track of your network configuration changes and change management quickly and easily. 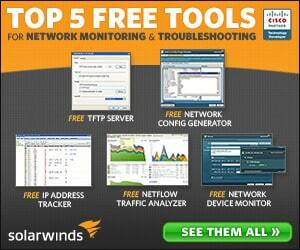 SolarWinds NCM is a great offering in this field that has a fairly robust free trial. 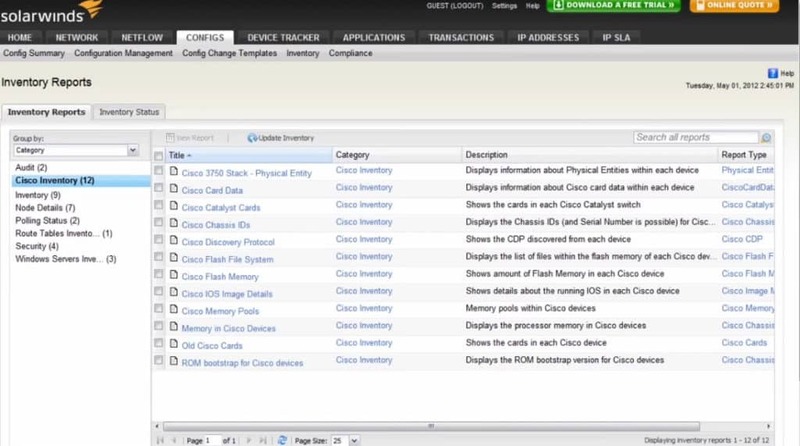 It offers full configuration back-up/restore/propagation, multi-vendor support to easily work with devices from a range of providers, notifications and alerts for pre-defined and customizable events, automation for ease of scripting or minimizing hands-on repetitive tasks, compliance audited.. quite simply the list goes on! It even provides a range of modularity for ease of combining with other tools so as to remain scalable to your needs. All this functionality is, thankfully, pretty easy to access via the heavily GUI-driven interface, which also offers a range of at-a-glance reporting on device, service, server, etc. status and performance, making it easier to not just configure your network but also watch over it. 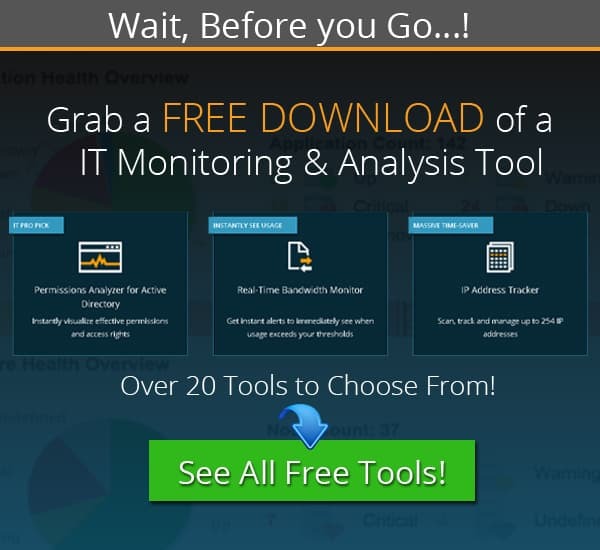 Download FREE 30 Days Trial now! WeConfig aims for a level of simplicity which can sometimes be well appreciated – with powerful software often comes a great number of settings, customizations, scripting, and all manner of other functionality. There's nothing wrong with that by any stretch, more power and functionality are good things, but there can sometimes be such a thing as ‘too much', especially for a smaller network or for more specific or niche needs. WeConfig easily manages systems via a handy graphical interface, adjusts network address assignments, has automated discovery for network devices and tries to monitor for failures along the network thus providing some level of feedback despite being an altogether lightweight option. It's compatibility is somewhat limited but does the job well in appropriate environments! Compatibility: Windows-based tool for Westermo switches and WeOS-based routers. 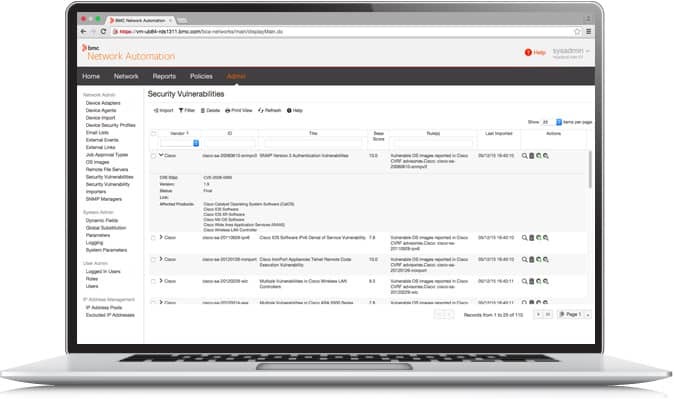 BladeLogic Network Automation, by BMC Software, is focused more on security and auditing and does a great job not just assessing those things but also providing quick-and-easy broad adjustments to settings as necessary to try and alleviate them. 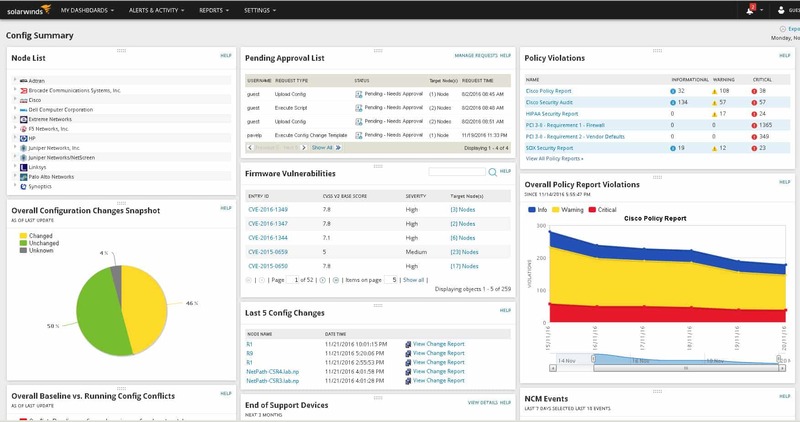 With no need for additional hardware this software is a great option for swiftly scanning and assessing the vulnerabilities and weak points of a network, and even boasts the ability to monitor and check network compliance without performance degradation in the process, meaning it's easier to schedule a thorough assessment without having to plan around peak times! BladeLogic Network Automation even guarantees compliance with various regulatory standards and best practices, making it a great option for those needs especially. Redcell is a more “all-in-one” type solution that offers network configuration as well as a range of network monitoring and many other features. This comes with the drawback of being a little lighter in some areas or less configuration options, but overall it can be a great solution that has everything in one place! 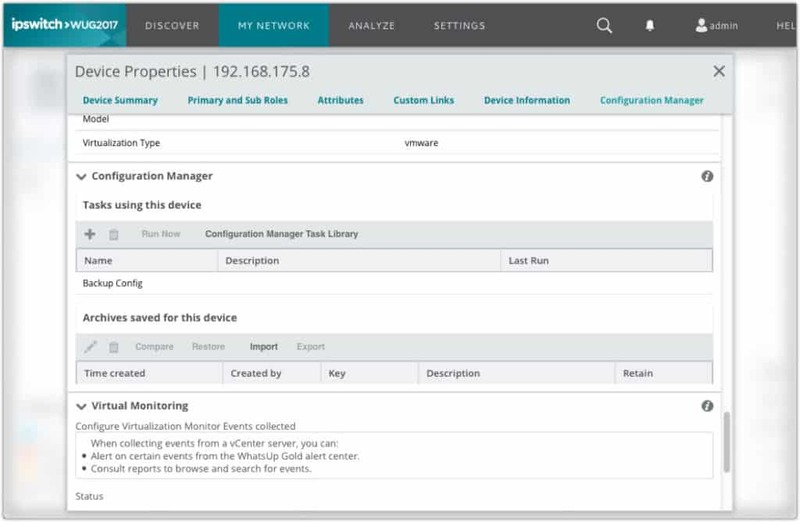 It has automatic discovery of network devices and configuration, health monitoring for devices and services, integrated discovery and management/configuration of a range of devices (routers, switches, firewalls, servers, printers, storage, etc.) and several other key features. It's a great option for a few week free trial, so it's worth a shot if you want a more broad option and are worried it might be missing some key features for your setup – the best way to find out is to try it! 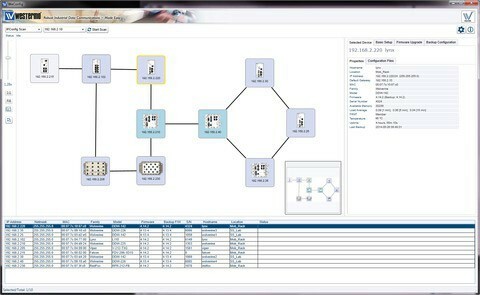 WhatsUp Gold has many of the options and functionality we expect of any decent NCM – permissions for management, automation, auditing and regulatory compliance measures, storage management and setup, and so forth – but it also boasts a powerful set of Network Management features built in beyond just configuration setup! This is another solid “all around” option that does a good job of offering more without giving up too much functionality elsewhere. 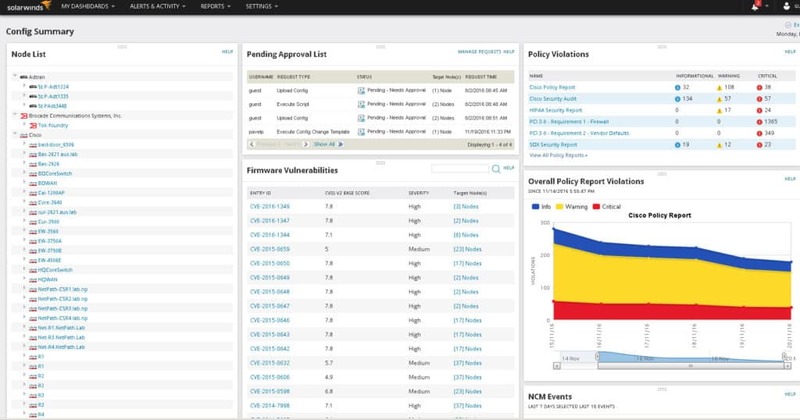 It has full monitoring and alerting of changes to any configuration being made and automated alerting of policy adherence failure, more to the security/compliance side of things. Yet another network configuration that comes as part of a larger suite – you'll find this is pretty common since a lot of the bells and whistles for NCM also contribute or offer functionality when dealing with network management as a whole! In the case of ManageEngine's OpsManager the greatest power comes from the robust reporting – the analysis and reporting in this program is pretty solid. It does an especially good job of monitoring and assessing trends and occurrences to help you determine not only what happened when, but what may happen soon and ease in resolving or avoiding issues in the future. It also has the usual range of features – security/regulatory compliance auditing, network change approval/denial work-flow via permissions and requests, automation, and so forth. 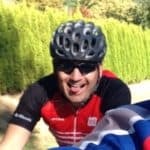 rConfig is an interesting option, which is fully available and open for contribution via github, that even has an demo on their website attached to an actual proper network! It's an open-source program that has a robust community, which is a must-have for any open-source option to be used. It has customizable scripting and automation, compliance management that's fully customization, bulk setting distribution, single-click options for quickly downloading configurations, reporting, backups, a range of system support and plenty more. It can be an excellent option if its features fit the needs of your network – and being open-source means that as long as the community thrives so too will the software! Spiceworks is another great suite with a lot of functionality, much of which includes some NCM capability. Primarily focused around easy configuration and management via built-in TFTP it can perform a range of backups as well as restorations on a range of devices. 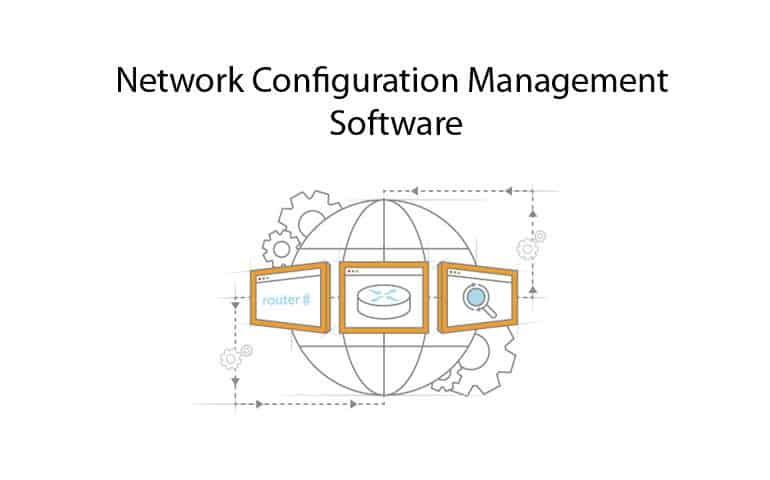 It supports a handful of vendors, a bit over half a dozen, and though it lacks a lot of the more robust NCM features it still has the basics that could be more than enough, especially when added to all the functionality that it offers for general network management! Although its not the most Robust system, there are suitable alternatives to Spiceworks that will get the job done. 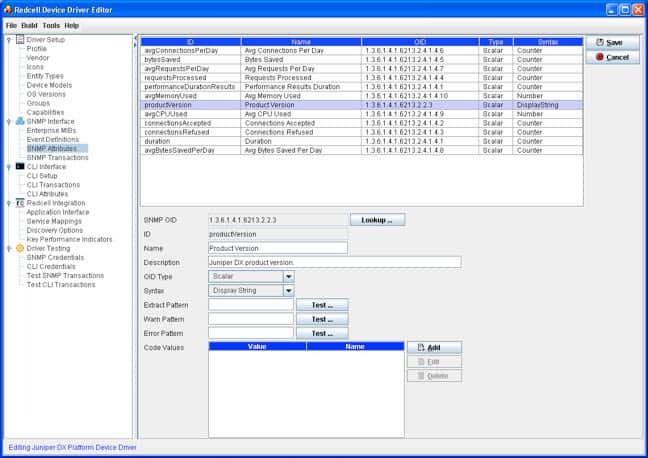 LineDancer is an enterprise focused web-based NCM with a good range of functionality. It has inventory reports, hardware and software device and service information tracking and reporting, configuration comparison and histories, password management, detection of changes, and a range of automatic integration. Despite being enterprise level it is somewhat lacking in some of the more fancy or remarkable features, but definitely has the full range of basic expected functionality plus a bit more, so it's nothing to scoff it! It does boast public APIs for some unique flexibility, built-in redundancy features for uptime, bulk scripting, and a few other handy abilities. Not a bad choice by any measure! 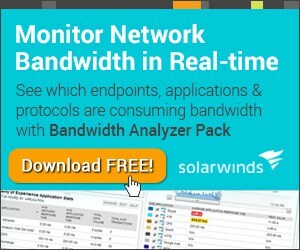 Many of these programs have trial or evaluation versions, or are downright free, which makes it well worth it as far as an investment of time to try them out for your network! It may be wise to setup a small test environment just to get a feel for the software, but there's really no reason not to give a shot – especially if you're lacking any proper NCM in your network environment. It truly can be startling how much time, and effort, can be saved via effective software to aid in the management and configuration of your network environment.